This article includes a list of President Barack Obama Failures, mistakes, or shortcomings, with older OR less noteworthy failures falling toward the bottom as this list grows. Considering his socialist leaning world views, failure to compromise, and textbook narcissistic behavior (see the end of the article for documentation), this list will likely continue to grow. As new issues are added, I will cite references wherever possible to keep this list as objective as possible. This article is NOT intended as a disrespect for the man or his office, rather a documentation of his activities based my documentation and admittedly world view and life experiences as both a business person and researcher (which includes many very in depth and well ahead of the time fish keeping articles). I still respect and pray for President Obama and in fact when he visited Oregon for the Roseburg tragedy, my family was able to see the President up close as Marine One came just over the parking lot we stopped to view his arrival. My entire family waved at the President in respect for both him and the office, despite many disagreements with his policies and views (including profound disagreement with his speech immediately following this particular tragedy). I will attempt to update this as much as time allows (this will also include any necessary corrections should he change course). Of course some of his "failures" are a matter of perspective (as I earlier noted); however with minimal business experience, history knowledge, understanding of Judeo-Christian values, and simple honesty/discernement; it is difficult to deny the failings listed here. It is also noteworthy that many if not most are documented with references. Please visit the new poll at the end of the post to express your views. I will leave this one at the top of the list, even though likely off the radar for most people, but this had a major impact on my business and my ongoing ability to pay myself any real amount from my business. In 2014, President Obama made the executive order that only so called my energy efficient electronic ballasts may be produced, and only the magnetic ballasts already in produced may be used (which ran out in late 2016). What is the big deal here? Well electronic ballasts, albeit more energy efficient but with much shorter life spans, simply do that have the surge power to light most high end, high output UV Sterilizers which I have built my business around. While some electronic ballasts have been able to work, the are not as reliable and for many applications are simply not viable, thus making the company in the UK that was producing these to cease production. We have also been able to bring in some high end UVs from the UK that still have magnetic ballasts, but most consumers are not interested since it requires a converter (that we provide) to step down the 220/240 to 110/120v current. In the end, while we still have many Chinese built UVs that are of reasonable performance, the UV line that truly paid our bills is but a shell of what they used to be and has had a severe impact on my business and personal finances. United Nations Security Council Resolution 2334 concerning Israel's settlement activity on lands Israel captured in the 1967 Six-Day War passed while the USA looked the other way. The vote passed in the 15-member Security Council on December 23, 2016 because the United States broke with its long-standing approach of diplomatically shielding Israel and did not wield, as a permanent member of the forum, its veto power, instead abstaining. While Secretary of State Kerry claims Israel's settlement building is an obstacle to peace, there is no evidence that this resolution will fix the problem, in fact quite the opposite!! Obama refused to place the blame on Islamic extremists, and instead went after gun rights of Americans who are law abiding, even when it was obvious this was a terrorist attack (note we are talking Islamic extremists, not your average Muslim). Obama did similar as to the Oregon shooting which although not classified as a terrorist attack, this attack certainly met some of the definitions of a terrorist attack . This killer (Chris Harper-Mercer) had some extremist sympathies too including the recent purchase of an Iis Flag that was never reported by the main stream news media. Then we have the political correctness where Obama actually invited “Clock Boy” to the White House after he was accused of bringing a bomb to school. The kids actions sense also indicate he was looking for this type of attention. After school officials in the “Clock Boy” incident were accused of racism/bigotry, this made others wary who found this terrorist couple suspicious, but failed to report their activity for fear of political correctness persecution. Now we have this next revelation of further political correctness once more being proved to be the guilty of allowing this terrorist attack, not guns, not even loud moths such as Donald Trump. 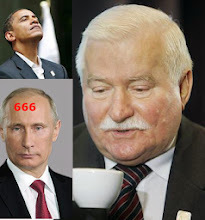 This time it is much more sinister and points right to the White House and the President! 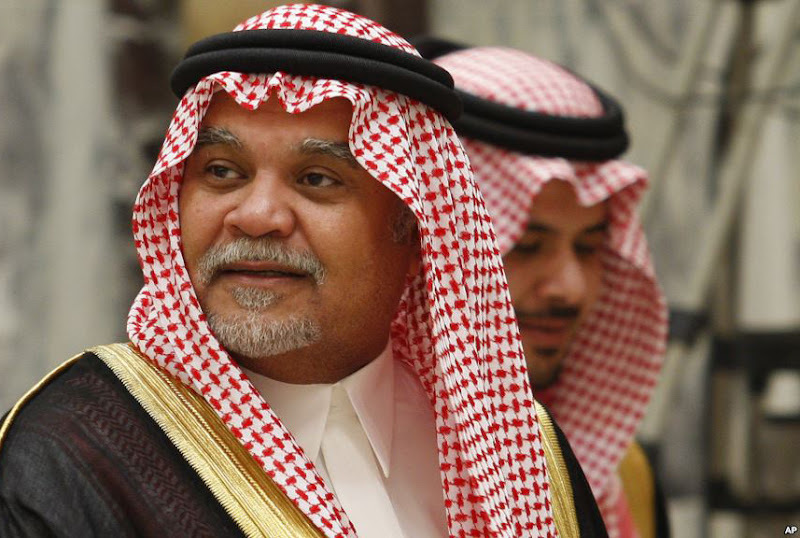 "In the first public criticism of the P5+Iran deal by a member of the Saudi Arabian royal family, Prince Bandar bin Sultan told Lebanon’s Daily Star the deal would allow Iran to acquire a nuclear bomb and would “wreak havoc in the region." Covered in The Times of London, the prince also told Daily Star, "Saudi Arabia and the Gulf powers are prepared to take military action without American support after the Iran nuclear deal"
"At his press conference earlier this week, President Obama seemed to indicate the only opposition to the P5+1 deal came from congressional Republicans, Israeli Premier Bibi Netanyahu, and Israeli Ambassador Ron Dermer (see video below). The president was not being truthful. Not only is there opposition from Congressional Democrats, but one of the leading critics is Senator Bob Menendez - a New Jersey Democrat. In Israel, with the possible exception of the Arab parties, all of the political parties in the Knesset have come out against the deal. And based on Prince Bandar bin Sultan, we now know that another one of the United States' closest allies, Saudi Arabia, believes the P5+1 deal was a blunder." "After Trayvon Martin was killed, President Obama spoke emotionally about his death, declaring "this could have been my son." After Michael Brown was killed, Obama promised to ensure that "justice is done" and declared: "We lost a young man, Michael Brown, in heartbreaking and tragic circumstances. He was 18 years old. His family will never hold Michael in their arms again." He even sent administration officials to attend Brown's funeral. After Freddie Gray was killed, Obama walked out to the Rose Garden and declared: "We have some soul-searching to do. This has been going on for a long time. This is not new, and we shouldn't pretend that it's new." But after Kathryn Steinle was killed July 1, allegedly by an illegal immigrant with seven felony convictions, Obama said . . . nothing. No promises of "justice." No calls for "soul-searching." His silence has been deafening." We can agree to disagree with how far the government should go in gun control, but after a tragedy such at what happened in Roseburg Oregon, especially since I live nearby, I and MANY others expected a leader to comfort us, but that is not what we got!! Instead we got someone who Politicized the tragedy before all the facts were known (including the FACT the shooter had Isis sympathies). Sadly I know of many who previously supported Obama, who lost all respect for the man after his comments here. Also as someone who moved to Oregon just to be near family who were well armed so as to protect my wife and kids from a psychopath, I know from personal experience how our gun rights can prevent tragedies too. I would also ask where was Obama's comments with the mass stabings at the college campus in Merced California? Obama’s nuclear deal with Iran is a strategic disaster. In a single stroke, the US has shattered the European coalition it took a decade to assemble and made a multilateral US-Iran conflict bilateral again, greatly weakening America’s strategic position in the Middle East. Even Saudi Arabia and the most of the Arab world do not like this deal and are now looking past the USA because of Obama's extremely inept deal with Iran. As for North Korea, Obama’s weakness on the world stage allowed North Korea to pull out of negotiation talks and resume their nuclear activity. In this case, I agree with another blogs observation that Obama was outsmarted by a cartoon villain, AKA Kim Jong Un!! 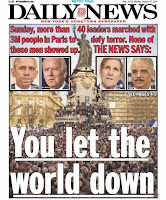 "President Barack Obama and other top members of his administration have snubbed a historic rally in Paris today that brought together more than 40 world leaders from Europe, Africa, the Middle East and even Russia. But he wasn't standing in Paris as Israeli Prime Minister Benjamin Netanyahu and Palestinian Authority President Mahmoud Abbas put aside their differences and linked arms." In November of 2014, Obama used executive action to give illegal alien parents of of legal children essentially amnesty. In doing so, Obama blamed the Congress for the need to take this action, YET where was he when the Democrats controlled both houses of Congress for two years!!! One can debate the need, compassion, or even the legality of his action and both sides might have good arguments. HOWEVER there is NO DEBATE about his lies and flip flops leading up to this action! This is clearly one more hard proof of the lies and lack of character of this man. Obama INSISTED to George Stephanopoulos during an interview that that his health care plan WAS NOT A TAX! YET his lawyers argued to the Supreme Court that his health care plan was not a mandate, and rather a tax. One more proof of this man's lack of character. Despite strong evidence of Russian involvement in at least covering up what has happened in the murder of almost 300 persons by Pro-Russian forces; President Obama has given at best a meek response to Putin's obvious lies. This tragedy is the best way to prove what kind of person (or animal) that Putin actually is (the new Stalin), yet Obama simply shows his incompetence as a world leader. There are many REAL sanctions Obama could use, such as ordering the shut down of ALL credit card and banking from any Russian location. "the world is disorganized and the superpower is not taking the lead. I am displeased"
As well; Iran’s supreme leader, Ayatollah Ali Khamenei, all but said on Sunday, May 25, 2014, that negotiations over the country’s illicit nuclear program are over and that the Islamic Republic’s ideals include destroying America. "Negotiating with Obama is like playing chess with a pigeon. The pigeon knocks over all the pieces, s##ts on the board and then struts around like it won the game." Obama is clearly either very naive as to the evil he is dealing with or he simply does not care; either way when it comes to International affairs, Obama is clearly the most dangerous president not only to this nation, but to the world as per his leadership, myopia, and world views. Quite frankly, anyone who does not see has a very myopic outlook on life. "The only thing necessary for the triumph of evil is for good men to do nothing" (attributed to English philosopher Edmund Burke). While we as Americans (or any Western Nation) generally strive to never leave anyone behind, totally capitulating the Taliban demands and trading one American for five Taliban Terrorists sets a dangerous president. Add to this the many accusations leveled by men from his company and you have easily one of Obamas biggest failures as President. Another soldier who goes by the name "Cody" is among the soldiers who noted in up-tick in attacks following Bergdahl’s disappearance. Then you have shameful/dishonest Journalists such as ABC News' Martha Raddatz & Lauren Effron attempting to dig Obama out of the hole he threw himself with this blunder by publishing stories from a room mate that bear little on the reality of what happened and those who were there with Bowe Bergdahl. Or MSNBC trying to distract with Sen. John McCain flip flops on the issue. Despite assurance by President Obama and many Senators such as Senator Jeff Merkley of Oregon, most persons with private insurance plans are loosing these, only to find the ObamaCare (Affordable Care Act) policies MUCH more expensive. "Nancy Thompson, senior vice president of CBIZ Benefits, which helps companies manage their employee benefits, says numbers in this market are hard to pin down, but that data from states and carriers suggests “anywhere from 50 to 75 percent” of individual policy holders will get cancellation letters." This is only the tip of the iceberg, as most persons get their health insurance via their employment, and the provisions of the Affordable Care Act that will make many of these policies obsolete kick in in 2014. Many elitist Democrat Senators and House members claim that the reasons these policies were dropped is because these were low quality policies that did not meet certain standards set forth in the Affordable Care Act! HOWEVER this is a matter of opinion, as many of these provisions that are mandated to make what these elitist politicians call a good policy include abortion, maternity care, and many other procedures that not every person needs or desires in their coverage. A 50 year old man certainly does not need either abortion or maternity care. Frankly, it is no government officials business what one person considers a good plan or not!! What's next, Obama telling us we must buy a Chevrolet when we prefer a Ford? "I think it’s clear we are not living in a post-racial society today in the United States. In fact, I believe the contrary is true. The Obamas have taken the country backwards and divided the population among racial lines. There is more animosity between the races than I have ever seen in my lifetime. Yes, there are racist white people. However, their views are not mainstream, nor are they accepted in society. On the other hand, black racism is tolerated. Just look at the actions and words of our first family." Further Resource: Obama Has Produced More Racism Than 200 Years Of Slavery Says Reverend Manning! The Obama administration’s twisted response to the kidnapping and murder of Naftali Fraenkel, Eyal Yifrach and Gilad Sha’ar. For over 18 days, Obama never called Israeli Prime Minister Benjamin Netanyahu or Palestinian leader Mahboud Abbas to voice concern over the abduction of Fraenkel, a dual American-Israeli citizen. In fact, Obama never publicly commented on the kidnapping of this American boy, or the grotesque anti-Semitism and support for the kidnapping that mushroomed across Palestinian society while he stayed silent – until the lifeless bodies of Fraenkel and the other boys were discovered on June 30 2014. By contrast, Obama did call Netanyahu on July 10 2014, complaining about the reported police maltreatment of an American-Palestinian teenager who seems to have thought going to a riot in a war zone was a good way to spend a summer vacation. And Obama prioritized this case – to the highest level possible in the world of diplomacy – knowing that the State Department had already descended on Israeli authorities within hours, and that Israeli officials had already taken action to address it. Sadly this is another incidence where the company Obama keeps and those who condemn Israel are on the WRONG side of history. Those who support his and similar actions include the former Ku Klux Klan Grand Wizard David Duke. President Obama's lack of discernment, including simply having no capacity to see evil for what it is as well as a solid foreign policy have come back to haunt him with the developments in the Ukraine involving Russia and Putin's ambitions in the region. YET Obama had the audacity to mock Romney in the 2012 debates about the dangers of Russia and Putins clear ambitions to rebuild the Soviet Empire. While there is still much to know with the IRS Scandal, including any involvement by President Obama, it is clear that the administration knows some that they are not saying. Currently, Cincinnati IRS employees say direction came from Washington, which certainly is pointing to the top. Also little is also being said in the news media about the DOJ's Witch Hunt Against "True the Vote". 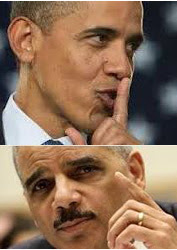 When one considers that Obama Sleazy Attorney General Eric Holder reports directly to the President, one has to suspect that Obama knows more than he is letting on. Who is "True the Vote"? Attorney General Eric Holder has done everything in his power to prevent voter identification laws from being implemented. As a result, "True the Vote" has been a top target for Holder and his "Brown Shirt" tactics. There is much more to this IRS Scandal, but it is clear that regardless of any direct Obama involvement (which even remedial discernment says he knows a lot more), the "buck" stops with him!! There are many horror stories of ordinary citizens and small business owners who were never audited that now suddenly find themselves under the scrutiny and harassment of the IRS. One such person is Catherine Engelbrecht. Here you have a callous president supported by liberal hate mongers such as Bill Maher attacking not only a viable source of energy that can help achieve energy independence from the Middle East, but a source for jobs for many in this country. While the main stream media called those such former General Electric CEO Jack Welch "nut jobs", despite his expertise in business for calling out the Obama Administration's Census report in October 2012 when he suggested that the previous month's unemployment report smelled fishy and perhaps had been manipulated, the truth now shows he was correct. This was not even good acting if you watch the video, yet the main stream media provided another love fest of President Obama after this fake faint. This staged faint is just one more example of his lack of character. Sadly, the 42% who hang on desperately to Obama will never see anything that might change their impression of him. If Obama wants to avoid a government shut down he should compromise on the most partisan of bills; ObamaCare (The so called "Affordable Medical Care Act"). Not a single Republican voted for the very divisive Obamacare in 2010. It was rammed down the throats of Americans by a Democrat super majority, and its passage spurred the election of the House Republican majority later that year. Instead he and Sen. Harry Reid resort to calling ANYONE who dares oppose him, a TERRORIST. Clearly Obama is not much of a leader, as most presidents before him have compromised rather insisting to to have everything their way or nothing. The FACTS are Obama & Reid refuse to allow for House compromises that allow for funding of ObamaCare, but ask that small businesses get the same breaks that big businesses and unions get. As well Obama & Reid refuse to force Congress to NOT have exceptions from the law. In other words, Congress does not have to abide by the law that most everyday Americans will have to. YET the Republicans are the Terrorists?? Other than the dishonest media, how stupid do these men think we are?? From: Who Shut Down the Government? "You cannot blame other people for not giving you everything you want. And it is a FRAUD to blame them when you refuse to use the money they did vote, even when it is ample to pay for everything else in the government." What is also noteworthy is that less than 1% of visitors to Health Care exchanges are actually signing up (only 6 on the first day NATIONWIDE! ), in California, it is only .58%!! This despite on-going lies by the Obama Administration and allies of the popularity of this program!! Obama and his thugs continue to attempt manipulate public opinion by even blocking viewing of Mount Rushmore ON STATE HIGHWAYS! Which of course the Feds have NO right to do so. "Remember when Obama supported the sequester cuts? Busted for lying for the umpteenth time. Youtube is killing the Deficit President. Even Democrat Bob Woodward felt the need to call out Obama for his blatant lies about not only having supported the automatic spending cuts, but actually having introduced the idea himself. Finally directives have come down from the administration to agencies such as the National Park Service to make Sequester cuts as noticeable and painful to the public as possible. The bottom line is once again; "You Lie Mr. Obama"
* YouTube Video; Remember when President Obama supported the sequester cuts? 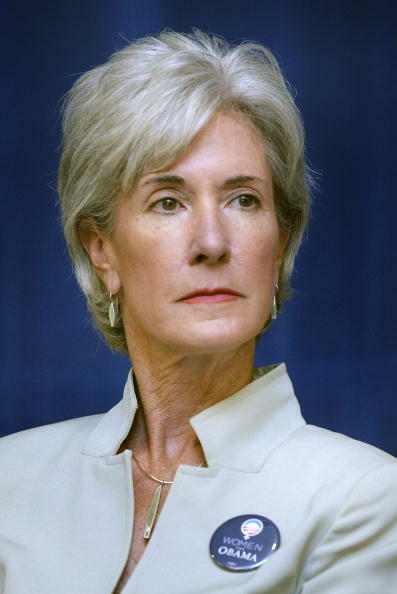 Secretary of Health and Human Services Kathleen Sebelius has been shaking down the health care companies for donations to fund implementation of Obamacare. When Congress refused to appropriate more money to set up the health insurance exchanges, Secretary Sebelius began asking these companies to contribute to Enroll America, a nonprofit organization created to promote Obamacare. Senator Alexander points out the Secretary’s activities are functionally no different from those which led to the Iran-Contra scandal, in which the executive branch attempted to continue supporting a program Congress had not authorized using private donations. Fourteen officials were indicted in Iran-Contra. 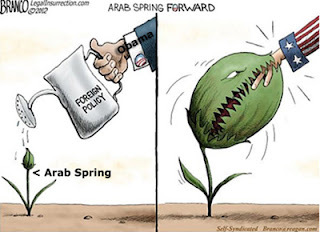 As most persons with an ounce of discernment already knew; the Arab Spring, AKA the Muslim Brotherhood is noting more than a Muslim Extremist group in a nice package; YET our horrible apology tour President Obama courted them!!! Starting on Sept. 11 2012, this group proved Obama wrong in attacking our Consulates/Embassies in Libya, Egypt, Yemen & more. The results was ambassador Christopher Stevens among others being killed. As of 0/13/12, the Muslim Brotherhood Egyptian President is nowhere to be found as per an apology or more. There is evidence that these attacks were planned in advance, yet these hateful persons blamed a questionable Anti-Muslim film on their attacks. This resulted in many apologies from the Obama administration including Hillary Clinton. Sorry Obama, you do NOT apologize for free speech regardless of what you think of this video. Sadly the dishonest news media even had the audacity to attempt to smear Mitt Romney as a private US citizen for pointing out this extreme flaw of Obama's (remember Obama's apology tour?). As of 11/22/12, " Egypt President Morsi grants himself far-reaching powers", in other words he has basically made himself an Islamo-Fascist for LIFE!! GOOD CALL President Obama!!! More proof he (Obama) is either totally incompetent when it comes to foreign policy or this is the kind of evil he desires in control in the Middle East; there is no other conclusion that can be drawn!! As of Summer 2013, Morsi is "OUT" and Egypt is in total melt down with many attacks on Coptic Christians. The Obama administrations attempt to first lie about the terrorist attack at Benghazi Libya, then finally admitting this was indeed a terrorist attack. President Obama and his administration deliberately excluded counter terrorism officials from consultations at the White House in the wake of the attack. Why? They did not want to have to admit that Al Qaeda, touted as dead and buried, had hit America again on the 11th anniversary of the original 9-11 attacks. Obama was counting on running as the man who killed the terrorists. Now he has to run as the failure who allowed terrorists to kill his Ambassador to Libya. 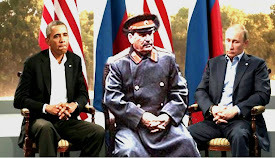 The main stream news media has aided the Obama administration cover-up by attempting to make Romney's CORRECT statement about a separate demonstration in Egypt appear to be a gaffe. There are credible reports that over 400 surface-to-air missiles were 'STOLEN' from Libya during the Benghazi attack, based on a whistle-blowers' attorney statement. The New York Times in an attempt to help pave the way of a Hillary Clinton run for president in 2016, has totally misrepresented the facts in one of the most agregious incidences of journalistic malpractice ever! THE BOTTOM LINE is this cover-up on the scale of Watergate (President Nixon, 1972) is reason alone Obama should be thrown out of office, IF NOT IMPEACHED, considering a man was murdered, while Obama, Rice and others in his administration attempted to cover it up!!! Sadly the mainstream media is totally silent on this cover-up!!! President Obama or at least Vice President Biden refused to attend the funeral of Margaret Thatcher of Great Britain angering many in the UK and especially Downing Street, arguably one of our closest allies. Regardless of what one may think of Margaret Thatcher's time as Prime Minister of the UK, this was a major insult to only send ex-Secretaries of State George Shultz and James A. Baker. Not only does not follow up on his own promises not to politicize his giving the order to kill Bin Laden, he makes false charges about Mitt Romney in political Ads about his views which a speech in 2007 readily disprove (although media outlets are doing their best to spin this as a half truth in Obamas favor). "Thank you. Of course we get Osama bin Laden and track him wherever he has to go, and make sure he pays for the outrage he exacted upon America." "The Obama team exposed sensitive TTPs–aka Tactics, Techniques and Procedures. The truth behind the Bin Laden hit is not favorable to Obama. As I have reported repeatedly–he was forced into this decision and, once he gave the greenlight, did everything to distance himself from it until it was clear that the outcome was a success. That ain’t leadership. That is jock sniffing at its worst"
Obama's pro big-government, anti-small business speech has our Silver-Tongued President attempting to clarify the ‘You Didn’t Build That’ speech. "There was a great teacher somewhere in your life"
Sorry Mr. Obama, it was a teacher that destroyed my life with her using me as an example of what a failure looks like (this haunted me through all my school years as I was teased mercilessly about this. See; My Bio). This is NOT to label all teachers, but it certainly was not a teacher that helped me with any success whatsoever! This story is getting little press, likely since it does not fit their agenda. However Obama'a appointment, Eric Holder and his goons have attempted to prosecute Mary Susan Pine based on a 1994 law. Unfortunately for Obama and Holder, and likely why this received no press coverage, the judge found the DOJ's case so meritless that he issued a summary judgment in Pine's favor and ordered the DOJ to pay $120,000 to Pine to cover her costs. "The Court is at a loss as to why the Government chose to prosecute this particular case in the first place," he wrote in his judgment. The Obama Administration is blocking Wichita Kansas based Hawker Beechcraft from bidding on a Weapons Contract and instead is sending the contract for the previous Beechcraft AT-6 to Brazil-based Embraer’s Super Tucano military aircraft. Embraer is a company with Ties to Iran & George Soros. For Fiscal Year 2009, Nancy Pelosi and Harry Reid bypassed George Bush entirely, passing continuing resolutions to keep government running until Barack Obama could take office. At that time, they passed a massive omnibus spending bill to complete the FY 2009 budgets. And where was Barack Obama during this time? 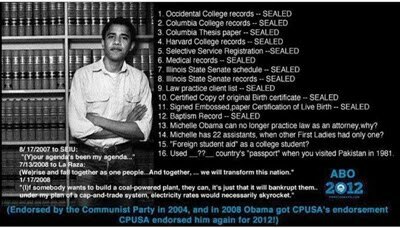 He was a member of that very Congress that passed all of these massive spending bills, and he signed the omnibus bill as President to complete FY 2009. 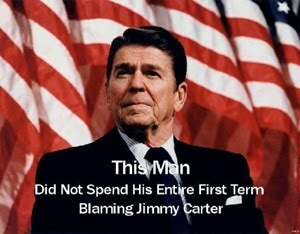 While the liberal media has done a good job of pinning this on Republicans and the Tea Party in particular, the blame lies squarely at his feet as he refused any real plan that would cap the debt ceiling as per Moody's, Standard & Poors, etc. Any honest research will show that the August 2011 down grade and stock market crash could have been avoided if the Obama and his dishonest colleagues such as Harry Reid had accepted "Cut Cap, & Balance"
Obama and Attorney General Holder suing the State of Arizona over bill that only enforces US Federal Law (US code #1304; c, d, & f). There are two House investigations into a scandal involving a $535 million federal loan failed solar company Solyndra. Related to the above, President Obama has invested TAXPAYER money in several crony energy companies that failed. Besides the before mentioned Solyndra, he has also invested taxpayer money in other now bankrupt companies such as: Beacon Power, Abound Solar, Eastern Energy, Amonix Solar, & Ener 1. Compare this with Romney's success!! "You're fed up with him, but I have to deal with him even more often than you" This was in reply to an equally rude comment by French President Sarkozy. This is clearly NOT what the supreme court is for, yet in typical banana Republic fashion, Obama is using the supreme court to pass his socialist agenda. Elena Kagan, who by any objective legal analysis should have recused herself from the Supreme Court case hearing over what is dubbed "ObamaCare". She has recused herself from many other cases in which she was far less involved, but she has adamantly refused to recuse herself now. Unwavering support of Attorney General Eric Holder and his “Fast and Furious” gun tracking plan (including delayed terrorist news to cover this up). Two of the guns linked to "Fast and Furious" were found at the scene of the murder of a border patrol agent. His contention that he knew nothing about secret tactics to allow illegal arms sales on the Southwest border does not "wash"; as the Attorney General the "buck" stops with him. See: CNN; Time for Attorney General Holder to resign over Fast and Furious gun scandal? Barack Obama's political roots are connected to the creators of Occupy Wall Street. The media tries its best to portray the crime wave known as the “Occupy Movement” as a grass roots political movement but we know two things in spite of the media cover up: The Occupy bunch is not a grassroots movement, it’s a financed and controlled product of the community organizer in chief himself. 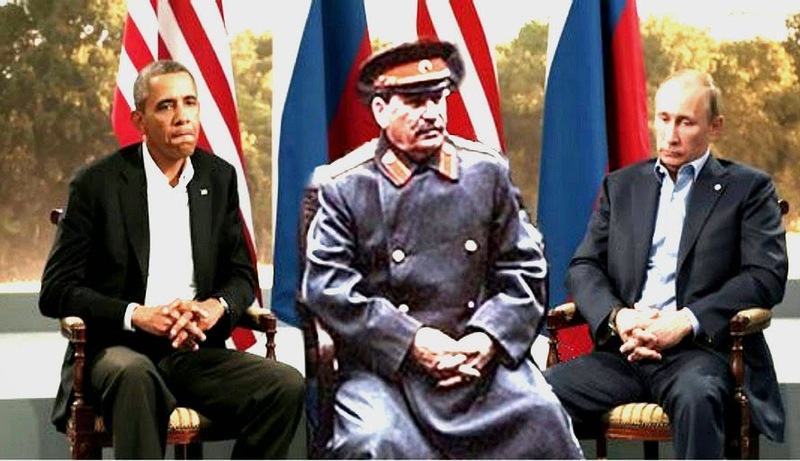 Obama continues to employ "czars" and channel his socialist agenda via federal agencies, meanwhile sidestepping Congress and subverting the checks and balances written into our Constitution. For example, on November 20th 2011, the Federal Communications Commission will get a stranglehold on the Internet through a cloaked initiative called "Net Neutrality." This is a typical Obama socialist takeover! Despite media lies & excuses from the likes of George Stephanopoulos, the buck stops with Barack Obama. While it is easy to blame speculators; the facts are even though the opening of the Keytone Pipeline would not have real benefits for years, when President George W Bush opened up more areas for domestic drilling, the price of oil immediately dropped. As well Obamas moratorium on drilling in the gulf, ANWAR, speculators who worry about his mishandling of Iran (Commodity futures), and many other areas along refinery regulations have a direct impact on fuel prices. While fuel prices are now falling as of June 2012, this is primarily due to the poor economy & economic outlook of which simply "supply and demand" has reduced costs. Obama stacked the National Labor Relations Board with Union Puppets who, for the first time in the history of the United States, refused to allow Boeing to open a plant in South Carolina (a "Right to Work State") because the plant would use non-union labor. Despite the fact workers at the South Carolina plant in question voted resoundingly (199-68) to decertify their union two years ago. The Department of Justice (DOJ) has been used to attack Arpaio’s office and has accused Arpaio of a policy to systematically violate the civil rights of Hispanic without any true evidence. The Truth is Sheriff Arpaio has simply been doing the Feds job of enforcing Federal laws. Refusing to prosecute the radical hate group; the Black Panthers for violations of others voting rights as well as hate crimes and inciting violence. Allowing radical racist communist in his administration - Van Jones; Special Advisor for Green Jobs in the Obama administration (Former now). This guy is so far out there that he signed his name to 911Truth.org which is a group that does not believe the accepted, proven, and established accounts of 9/11/01, this is a kin to denying the Holocaust, claiming the Earth is flat (there are those that still believe this), believe the Moon landings were fake, etc, etc. This is also insulting to the families of the victims of the 9/11 terrorist attacks and bluntly almost as evil as the attacks themselves! Carol Browner (Energy Czar/Director), Rosa Brooks (Senior advisor to the Under Secretary of Defense for Policy, Michele Flournoy), Ron Bloom (Manufacturing Czar). Sadly Obama is calling this a "Victory", but it is NOT! On 5-29-09, with General Motors nearing bankruptcy, the GM stock price hit a 71-year low of 75 cents per share. That put the market capitalization of General Motors at less than a half-billion dollars. President Obama came to the rescue with a $60 billion bailout. As of today, despite the infusion of $60 billion into GM, the company's market capitalization is just $38 billion and Obama is claiming victory! That would be the same as buying a "fixer-upper" house for $5,000, pumping $600,000 into the house and selling the house for $380,000 -- while claiming the whole episode a financial success!! Finally; The firing the head of General Motors; this is NOT the job of the President to fire corporate heads no matter how bad they might be. Also with an economy that needs low oil prices for complete recovery, Obama continues to lock up viable oil reserves in the US. 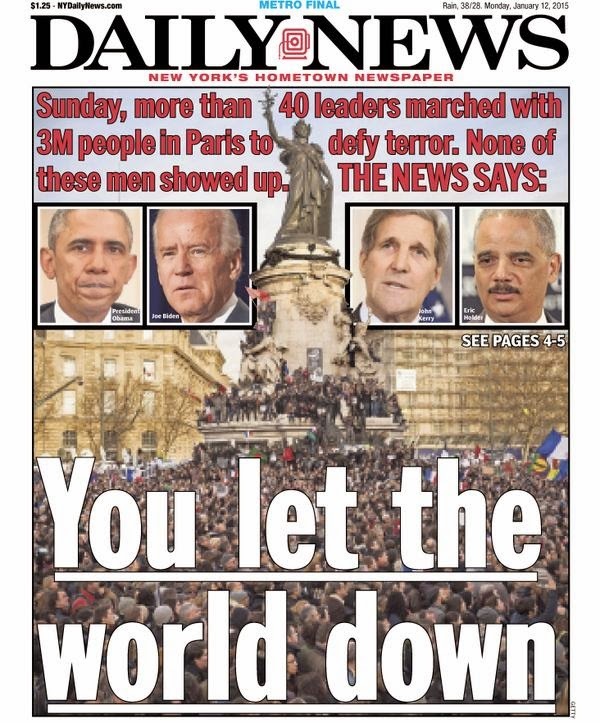 Obamas EXTREME ARROGANCE toward those who do not fit his world view/profile. This includes his view that other than himself driving around in limos and flying in Air Force one, no one else is entitled to any luxuries in life and high fuel prices are just another way of separating the "serfs" from persons of his stature in his racist psychopathic narcissist world view. Sadly, this picture below shows the height of his extreme hypocrisy; this picture is from 2008 (during the presidential campaign). I guess it is OK for him and his family to own an SUV, but not for others; Good job "Marie Antoinette Obama"
Obama’s ties via Eboo Patel to the radical Imam Feisal Abdul Rauf, the controversial Muslim leader behind the plan to build the Islamic center and mosque two blocks from Ground Zero. Imam Feisal Abdul Rauf wrote the afterward to Patel’s 2006 book entitled, “Building the Interfaith Youth Movement: Beyond Dialogue to Action.” Eboo Patel the is religious adviser to President Obama. Obama’s adviser says, “America is the ideal place for a renewal of Islam”. Making race relations worse during Professor Henry Louis Gates arrest controversy with misguided inflammatory race relations comments. Lying about details of his healthcare reform bill - YOU LIE!!! Lack of support for Israel. While I, nor others advocate blanket support for everything Israel does, it does not take a genius to figure out the Israel is the strongest democracy in the region and our best ally in the region as well. Extreme Anti small business & anti-family views/policies; remember Joe the Plumber? As well as a small businessman that struggles for every dollar, often working 80 hours per week I have already seen my taxes increase. As well Obama has lowered the child tax credit from $1000 to $500; how family friendly is that? Continued blaming of George W Bush for the Economy, months and years into his presidency. The facts are after 9/11 the economy was doing fine, it only started downhill after the Dems took over the Congress in 2006 pushing for much more out of control spending. Even then the main culprit occurred in the 1990s when HUD loosened mortgage restrictions in the mid-1990s. As well banking de-regulation in 2004 (admittedly under George W Bush) allowed financial institutions to make more risky investments/loans. The bottom line is these financial institutions should not have been bailed out at taxpayer expense with NO future return payment, and all Obama did is Triple Down on George W Bush' mistakes here, not turn course; So Obama now owns this economy! And of course the failure of the American Electorate to actually vote for such a fool. Is Trump a Narcissist? What About Obama? Please also visit my new poll (as of June 2013) to give your opinion as to "Who is the most dishonest person in the Media"
While this controversy may not go away and while these documents may well be forged (according to some); either way this is a minor issue IMHO and detracts from serious debate of why in most cases this man is the worst president in our Nation's history. These two positives still do not in any way make up for this list of failures & extreme leftist views & hatred of anyone who has achieved anything in life via hard work!